No matter how much you love the city, it is always good to take a break once in a while. Those staying in Mumbai are a lucky bunch because there are some amazing places on the outskirts of the city. These are not just trekking and weekend getaway destinations. They are also a hotbed for outdoor adventure activities. You’ve got the hills that are about a two hour’s drive away, plenty of beaches that are ideal for watersports, and cliffs that are the perfect platform for aerial sports. Here are the top 16 adventure activities in Mumbai. Hakone in Powai offers patrons both outdoor as well as indoor experiences. At the park, one can enjoy sports like car racing, cricket, bowling and much more. Those that love arcade games will be thrilled with the many virtual games available at the entertainment center. From games like pool and billiards to simulators and fun gaming machines, and even sporting activities like go-karting, one can enjoy them all at Hakone. 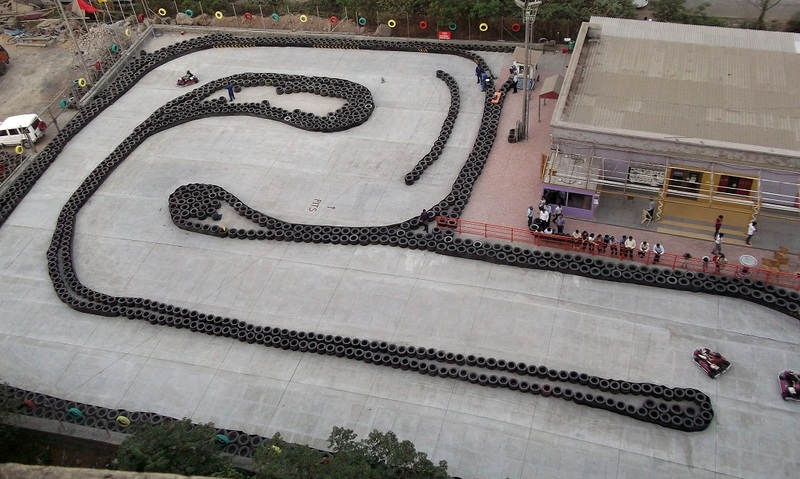 Situated in Lower Parel, Smaaash is one of the most popular sports and adventure activity arenas in Mumbai. 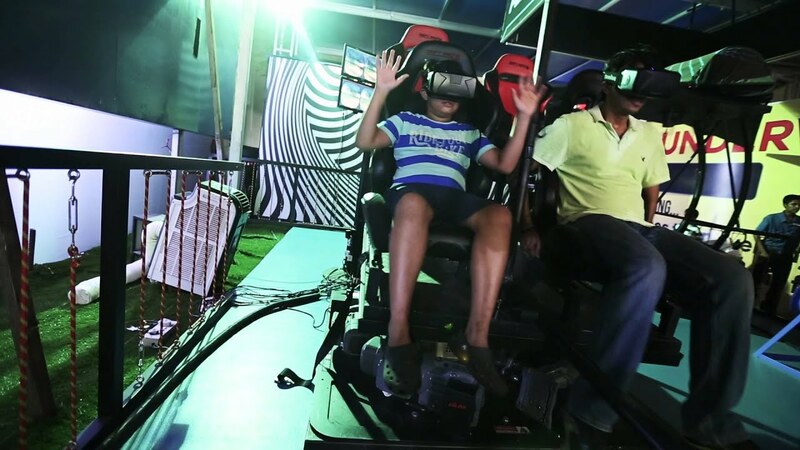 At Smaaash you have so many activities and games to play that you’ll never get bored. Adventure sports seekers can soak in the thrills and chills of activities such as quick jump and sky karting. For those who love sports, Smaaash has cricket, bowling and football games to enjoy. At this amazing arena, there are also a few good dining and drinking options that are nice to indulge in, after you’ve enjoyed all the action. Nestled in the foothills of the Sahyadri range, Kolad is by far the most well-known place for watersports near Mumbai. Of all the watersports available here, rafting on the Kundalika river is the most popular activity. The trail passes through the most thrilling rapids, and so you’re sure to enjoy yourself if you are an adrenaline junkie. Rafting in Kolad is carried out by certified experts so you’re pretty much covered when it comes to safety. All you really need to do is put on the protective gear properly and follow instructions perfectly. On a regular rappelling route, you would normally go down the slope of a mountain, but have you ever thought about what it feels like to go down a waterfall? To put it in simple words, the experience takes the excitement to a whole new level. Usually conducted around the monsoon, when the waterfalls are at their peak, waterfall rappelling is a unique and challenging experience. Waterfall rappelling is conducted at Bekare Waterfall at Bhivpuri (70 feet), Dodhani Waterfall at Panvel (75 feet), a waterfall near Kondana Caves (100 feet), Vardayini Waterfall near Roha (150 feet) and Dudhiware Waterfall at Lonavala (135 feet). Each waterfall has its own difficulty level. Mandwa in Maharashtra is a labyrinth of zigzag rivers, making it the perfect setting for Kayaking. Not for the faint-hearted, Kayaking is a sport that requires plenty of focus and balance. At Mandwa, you have the option of going kayaking all by yourself, or with a friend. If you’re going with a buddy, you’ll need to book a twin boat. As you slide and glide through the waters here, don’t forget to soak in the breathtaking view of the Mandwa riverbed and the village. Tarkarli is a village known for its pristine beaches with crystal clear waters. This makes the place a hotspot for snorkeling. The best part about snorkeling at Tarkarli is that it allows you to be as close as possible to the aquatic life here, as you get to swim amongst the corals and the colorful fish. Tarkarli is also a great place for scuba diving. This is the only scuba training center in Maharashtra. You’ll find divers, both amateur and professional come to Tarkarli to enjoy and learn scuba diving. Capitalizing on Virar’s closeness to the sea and using the laminar flow of the winds to their advantage, many paragliding operators have set up shop here. They attract a large number of crowds who come here to enjoy the breathtaking views of the coast, and to feel close to soaring like an eagle in the vast sky above. After you’ve glided through the sky, head nearby where they have a few paramotoring and camping experiences to try. To enjoy the scenic beauty that Lonavala has to offer, book a Hot Air Balloon Safari. Enjoy the adrenaline rush as you soar into the sky above and catch breathtaking views of the beautiful and scenic Sahyadri range. The balloons are handled by a team of experienced pilots, so one doesn’t need to worry about safety. The best time for a hot air balloon ride is during the evening when the sun begins to set. The view of the sunset is mind-blowing. Hidden amongst the beautiful landscapes of the Western Ghats, the Kondane Cave is a gem that is not known to many. A thing of beauty, the caves are best for exploring if you love adventure sports and nature. Delve into the awe-inspiring, but quaint caves that promise to leave an everlasting impression on you. Once you pass through the cave and make your way back to the mountain, enjoy scenic views of Borghat, that was a historic trade route located in the state of Maharashtra. One of the most amazing adventure activities near Mumbai. Situated in Lonavala, the Della Adventure Resort offers a variety of adventure sports activities. This one-of-a-kind adventure park is the ideal destination for anyone looking to do a plethora of adventure sports in a short span of time. The best part about the park is that one can enjoy plenty of adventure sports like swoop swing, flying fox, rocket ejector, motocross dirt biking, aqua zorbing and much more. No matter what adventure sport you pick, you will surely never get bored with the great lineup of activities that Della Adventure Resort offers. Pawana lake is located approximately 10 kilometers away from Kamshet, on the Mumbai-Pune highway. What makes this lake a popular tourist spot is that it is one of the best camping sites in the region. Tents are set up for tourists and there’s also a vast open land to enjoy a variety of outdoor games. Come night, campers can relax as they gaze at the lovely Milky Way or choose to have a cozy bonfire. 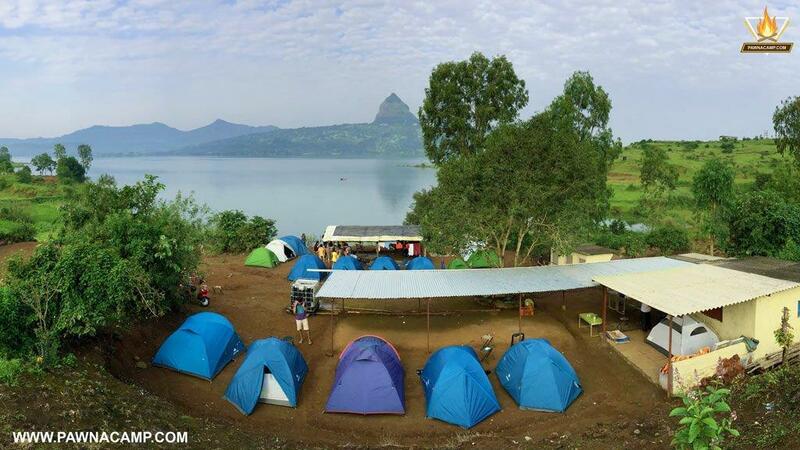 The campsite also offers other services like a trek to Lohagad or Tikona. Rooted in history, the famous Torna Fort attracts not only tourists but also trekking enthusiasts who come to enjoy the lovely scenery and soak in all that nature has to offer. The trail here is pretty simple. All one has to do is follow a rough pathway that leads to the fort. One will have to keep in mind that there are some portions that can be tough to pass, but with a little effort, it is possible to get through these parts. The best part about trekking here is that it is so safe, that even if one wants to trek at night, they’ll have no issue. Kalsubai is a massive monolithic peak that stands at 5200 hundred feet above sea level. Kalsubai is one of the most beautiful peaks as it personifies the meeting of heaven and earth. Do not be fooled by the beauty of the peak, the trek is quite a challenge for beginners. Although there are railings and stone steps that can be used to reach the top, the way up to the peak passes through rocky pathways and curvy bends. One will have to be fully focused while climbing up to the peak. The trek usually lasts for two days and can be done with the help of a Sherpa. Bring out the ornithologist in you by visiting Koynanagar, which is a famous spot for bird watching. Here, one can feast their eyes on some of the most exotic and rare birds ever to have been found. Some species of birds that are worth spotting here are the Asian Paradise Flycatcher, the Purple Sunbird, and the Yellow-Footed Green Pigeon. The entry fee to the park is Rs. 300 per person and it will take you around three hours to finish exploring the entire length and breadth of the sanctuary. Rajmachi Fort is the pride of the Sahyadri ranges. This bastion comes to life during the monsoon season when the rain blesses it with a greenery that inspires awe in the eye of the beholder. There are two ways you can reach the top of the fort. One is by trekking up, and the other is cycling. While cycling up to the fort, it is important for one to wear a helmet and kneepads. Although the track is fairly safe, since you’ll be traveling on a bike, there may be a few patches that can be dangerous if you don’t take precautions. Dandeli is known for its dense deciduous forests and jungle trails. There are a variety of things to do in the adventure stay at Dandeli. One of the most unique and fun experiences is a nature walk in the jungle. On your walk, you might spot a few wild animals and even a few exotic birds. Another important attraction in Dandeli is the Bison River Resort that offers activities like river crossing and kayaking. Whether it is aerial sports, trekking, or even enjoying water sports, there are activities in Mumbai. They are all sure to get your adrenaline pumping and your heart racing. If you have any questions about these places, do let us know in the comments below.